When a favored coworker accepts another opportunity, it’s often a blow for the company they leave behind. Their empty desk presents its own operational challenges – commencing the search for suitable candidates, deciding who will handle their duties during the search, possibly even rewriting the job description. But guess what! When someone leaves their place of employment, it affects not only the office as a whole, but the individuals there as well. Picture this – you enjoy your full-time employment, and have learned a great deal from one manager in particular. This manager (let’s call him Rob) is everything you want in a coworker – exceptionally knowledgeable in his field, asserting unmatched work experience and a great sense of humor, is clear in his requests, and warm without being overbearing or talking too much. He sees the big picture and keeps his projects as well as his direct reports on track with little difficulty. His presentations are compelling, interesting, and carefully planned. He listens. He is also patient, kind, and always dressed appropriately. He even brings in extra produce from his abundant garden. In short, he’s a real pro. He also is (ok, was) my favorite manager. When I received news that Rob would be leaving, I was surprised, and not in a good way. My hands even flew to my cheeks, Home Alone-style. Usually, when someone is unhappy at their job it’s fairly obvious. But what if the colleague in question enjoys their work, is not only popular within the company but knows their job inside and out, is the go-to person and one of the most knowledgeable in the department, and is leaving for a similar job at another great company? Problems with HR? Doubtful. Differences in business practices? Probably not. A poor annual review? Absolutely not. Romantic relationship gone awry? Also no. Few growth opportunities? Perhaps. A raise? I don’t know, but I sure hope so. So what was the deciding factor? A significantly shorter commute. Finally, the kicker... he left for a rival organization! You can’t argue with the math. So as a professional myself, I respected his decision. But it still stung. After seven years of working with him, I felt like my buddy had punched me in the stomach and then told me he was moving across the country. The faster you “download” their “brain dump”, the better. 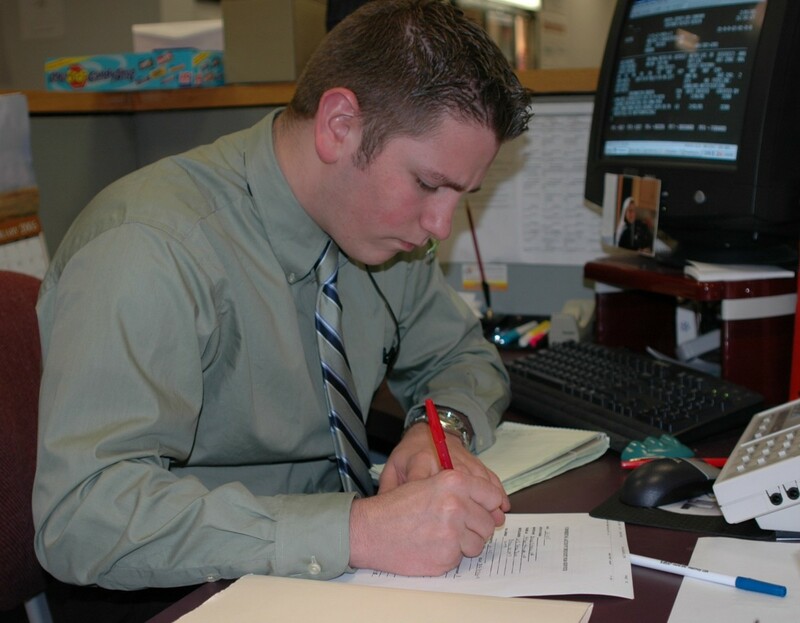 Not everyone is as well-organized as Rob, who had prepared lists of tasks and practices in advance. So grab your pen and sit with them, stat! Host a farewell get-together. 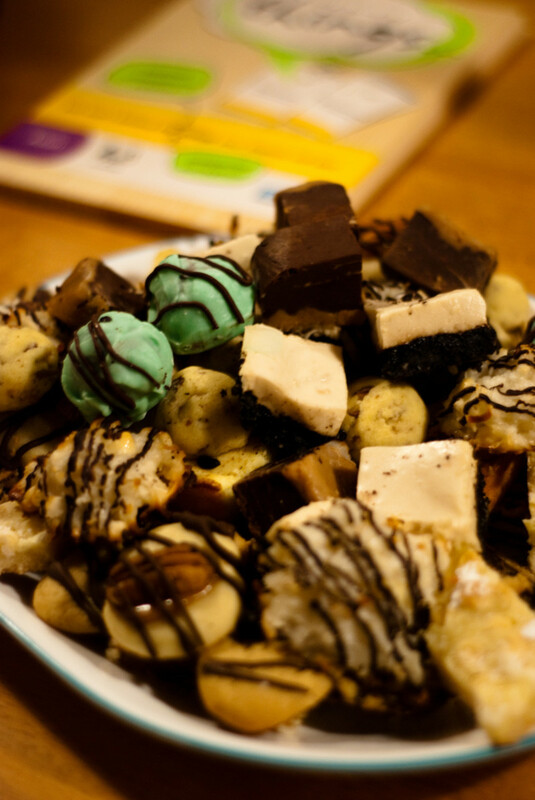 It doesn’t have to be a fancy picture cake – cookies and coffee are great, too. What matters is that everyone who wants to can say goodbye in a congenial setting, together. Wish them well! 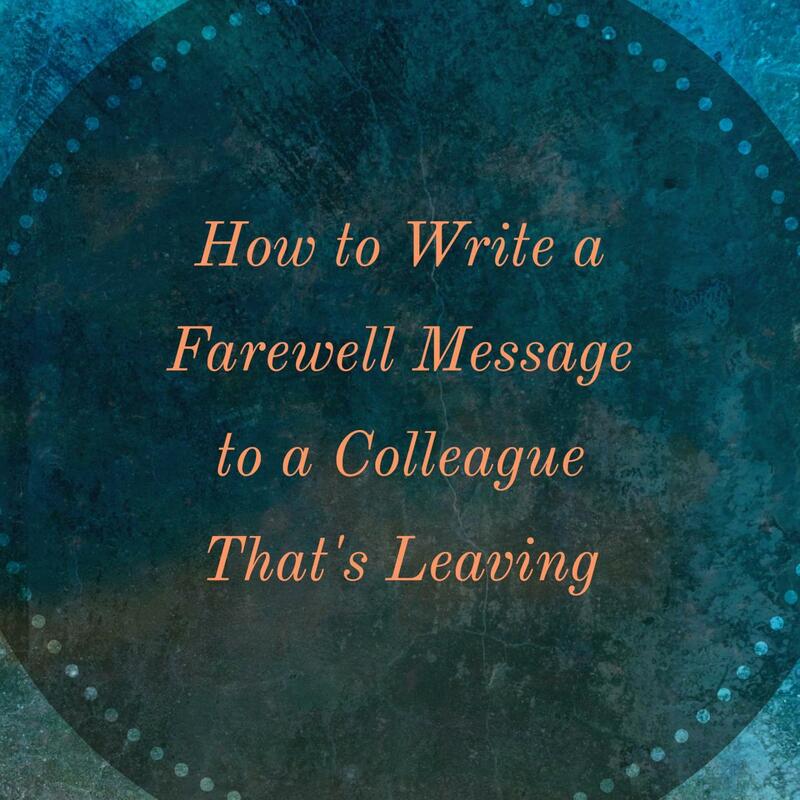 If you really care about your colleague, don't let them get away without a special goodbye. It can mean a lot to someone. If you know you will be away (on vacation, for example, as I was) during their farewell party, be sure to say your goodbyes ahead of time. If you stay in constant communication with your colleague and you are trustworthy, you will likely make many more business contacts, who may prove useful in the future. Why not connect through Facebook? You may not have wanted to “friend” one of your managers when you worked on the same floor, but what’s to stop you now that you don't work together directly? When all else fails, you can at least enjoy the sweets at the going away reception! Think about projects you worked on together. If you have a similar project in the works, ask them for tips about how to proceed before they leave for their new job. Step back. Enjoy their company for as long as they are around, but accept that you soon won’t be able to have an occasional hallway chat about nothing in particular. So start practicing the “no hallway chat” rule as soon as possible. Keep it real. Remember that they are not breaking up with you, they are charging forward toward a better life for themselves... which is something everyone should shoot for. Stay warm. Avoid bitterness and don’t crack mean jokes. Saying things like “The best ones always leave us!” and “Yeah, she made enough messes, now someone else can clean them up!” even in jest is obnoxious and probably not true. Even simply referencing something like “the seven-year itch” is tasteless and tacky. Do commiserate with other coworkers you know will be missing the person in question. Sigh for a while, then get back to work. That’s what you are getting paid for, after all. Don’t put your own job in jeopardy because someone else is leaving! Join up through LinkedIn! If you are not already one of each other’s contacts, make it happen. This is exactly what LinkedIn is for – keeping in touch with the best workers you know. What if a coworker leaves for a rival company? Even a “friendly” rivalry is still a rivalry. Or is it? Don’t call your colleague a traitor or defector, or attempt to make them feel guilty. You will look foolish in front of your remaining coworkers, and will turn an amicable situation into a disagreeable one. So now that I’ve come to peace with Rob leaving, there’s just one more question to answer: who will share their extra cucumbers? Have you ever let a coworker leave without saying goodbye? Sure. Turnover is high where I work, so I don't bother becoming attached. Yes, especially if they give me the willies. No sirree! I could use all the contacts I can get! I would never do that! Even just thinking about it I am becoming weepy. This is an interesting topic. I always look back at people who have moved on from when I worked with them in the past and pictured hiring them in the future if I ever got to the position where I could do something like that. It would be pretty much like having an all start team that I could trust to get a certain job done. Hiya, tillsontitan! Thanks, about the graphic. Hey, that's an extra month of vacation right there... not to mention less gnashing of teeth and road rage, fewer miles and less wear and tear on the car, less money spent on gas... the list goes on and on. 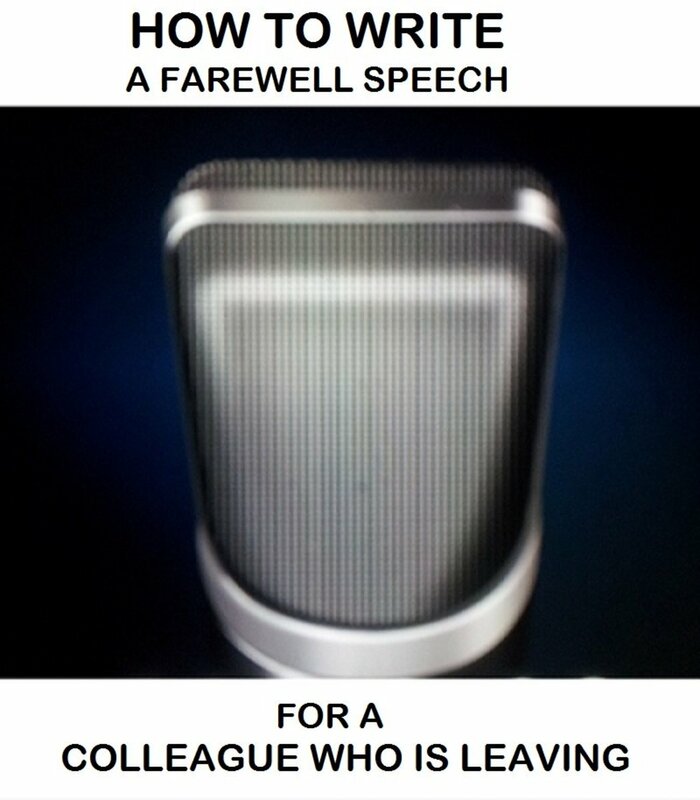 It is always hard when a good co-worker leaves you behind so to speak. I like the way you described the whole situation and your "shorter commute" graphic is priceless. Voted up, useful and interesting. P.S. cclitgirl, good luck, I'm sure you'll do fine! Hey, Chaplin... and thanks so much for commenting! Yes, leaving a place of employment is tough for everyone, and that is so true about finding out who your best co-workers are. This is a really interesting topic. I think back to the different reactions when I left work for motherhood, and also when my husband left his job for the competition. You sort of find out who your true friends are, or I should say - who your true great co-workers are. Great tips for how to handle this situation. Well this also resonates with me. I am leaving my job in 6 weeks because I have worked hard for 33 years now and after 2 years of a very stressful job, I've decided to take a break. I am a manager so I will be letting my staff know next week, it will be weird but I am looking forward to the time doing other things. Good hub, thoughtfully explored and interesting. Thanks, Vellur. In my case, we're not the best of friends... although he its one of those people who can always make me smile. I'll miss him, but the department must continue to run. Hi, MelChi! Thanks for stopping by, and for the votes! Yes, both the person who is leaving and the company should afford each other mutual respect. I would not want to lose the contact of someone I worked well with, especially if they are greatly valued. Wow, Rachel, you truly are a clever at. Taking this theme from the workplace experience, you've fashioned a highly relevant, topical, thoughtful hub. The ideas and insights presented here are priceless. What makes it all the more readable is how well it is grounded in your own narrative. Bravo! Voted up and awesome. Great ideas to say goodbye to a co-worker.We have to get on with our work and get over it, even if it is one of our best friends who is leaving. This is a very good topic! 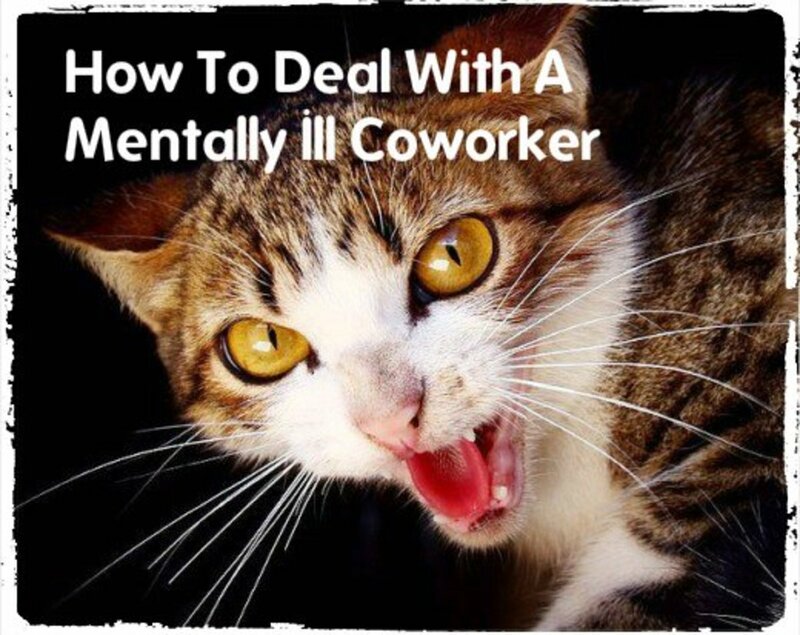 Too often heads of companies take employees leaving far too personally. They feel rejected and either ignore the employee who has just resigned, or pile them on with too much work as a forms of punishment. This is not fair - if an employee needs to leave on good terms, finish all their projects and not burn bridges, then shouldn't they expect the same amount of respect from the company that they are leaving? I agree with your point about having a small farewell party - even if it's just coffee and some biscuits, just a way to say 'thank you' for the hard work they've put in during their time there. 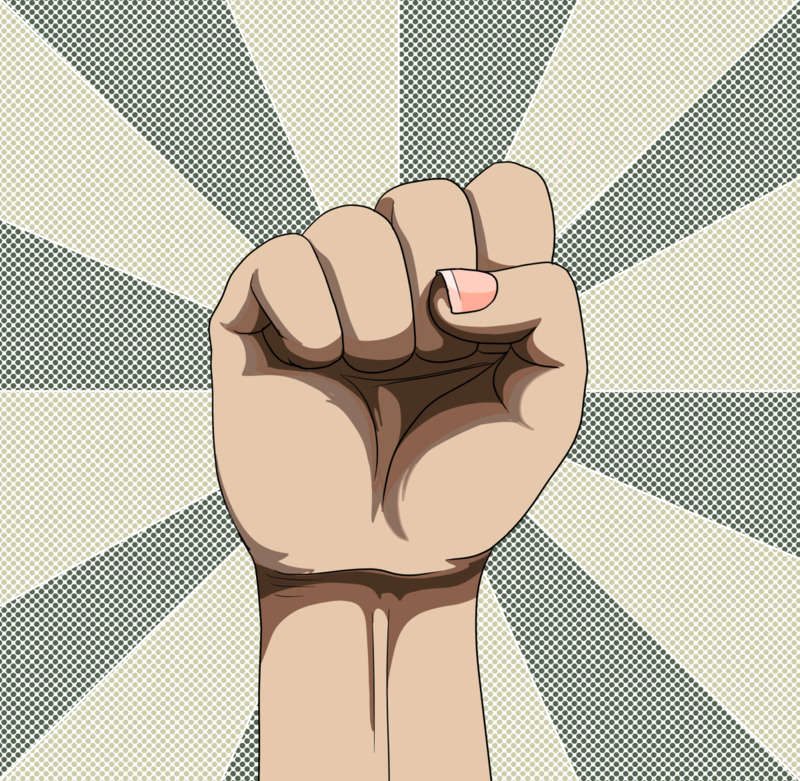 Voted up, awesome, interesting and sharing! This is a great post and one that will be helpful and comforting to those who must say good-bye to a great co-worker. OH MY GOSH! 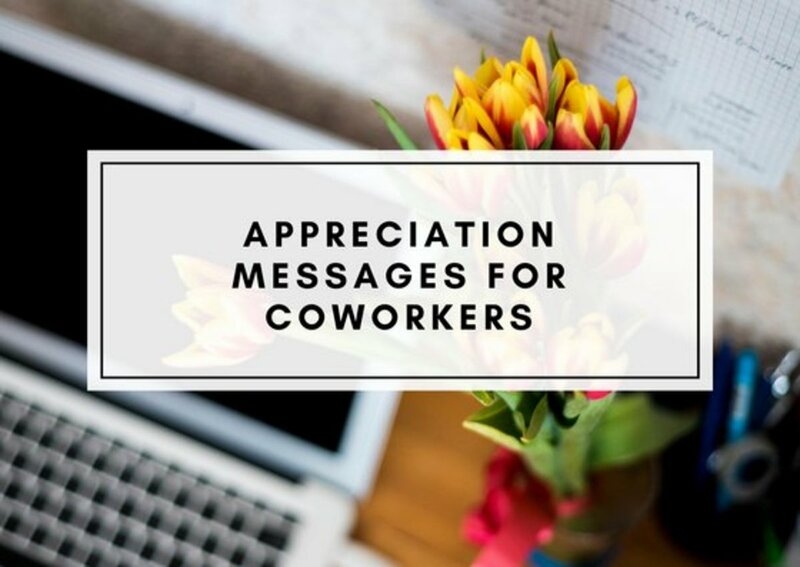 Cyndi -- having written with you for only a few months I have learned that you are one in a million, and I'm quite sure the colleagues you have left behind are thinking the same thing. Lots of luck and lots of hugs for you!!! Remember, you are charging forward toward a better life! And it will be better, definitely.